The Ruckus ZoneFlex R600 delivers high-performance and reliable 802.11ac wireless networking at a competitive price point for medium density venues such as in K-12 or education. The ZoneFlex R600 combines patented adaptive antenna technology and automatic interference mitigation to deliver consistent, predictable performance at extended ranges with up to an additional 6dB of BeamFlex gain on top of the physical antenna gain and up to 15dB of interference mitigation. The R600 is ideal for wireless networks servicing mobile devices with dual-polarized antennas that adapt in real time to maximize performance for the mobile enterprise. Performance is further enhanced as the ZoneFlex R600 integrates Ruckus’ patented BeamFlex, a software-controlled, high gain adaptive antenna technology. The ZoneFlex R600 automatically selects channels for highest throughput potential using Ruckus ChannelFly dynamic channel management, adapting to environ- mental changes. A sleek and low-profile design, the ZoneFlex R600 was purpose- built for enterprises requiring reliable high speed client connectivity. 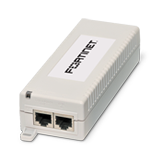 It is ideal for a variety of medium density enterprise and hotspot environments including SMBs, hotels, and schools. All ZoneFlex R600 Smart Wi-Fi access points integrate a software-controlled smart antenna with PD-MRC (polarization diversity) that delivers up to an additional 6 dB of BeamFlex gain and 15 dB of interference mitigation. This is especially beneficial to enhance the performance of mobile devices which are constantly in motion and changing orientation. 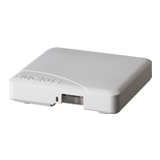 When used with the Ruckus Smart WLAN controllers, each ZoneFlex R600 supports a wide range of value-added applications such as guest networking, Dynamic PSK, hotspot authentication, wireless intrusion detection and many more. 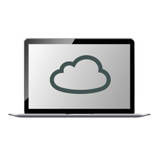 With Smart/OS, WLANs can be created and mapped to the same or different APs or VLANs. In a centrally managed configuration, the ZoneFlex R600 works with a wide range of authentication servers including Microsoft’s Active Directory, LDAP, and RADIUS. ZoneFlex R600 APs can be deployed as a standalone AP or as part of a centrally managed wireless LAN using ZoneDirec- tor Smart WLAN controllers. ZoneFlex R600 can be deployed across any L2/L3 network and can bridge traffic onto the local network, tunnel to a central location using L2TP or PPPoE, or route between the WAN and NAT’ed private subnets. With the Ruckus controllers, each ZoneFlex R600 is automatically configured through the network making deployment quick and easy. * when used with Ruckus ZoneDirector or SmartZone controller.